Are Amish fireplace claims a bunch of hot air? 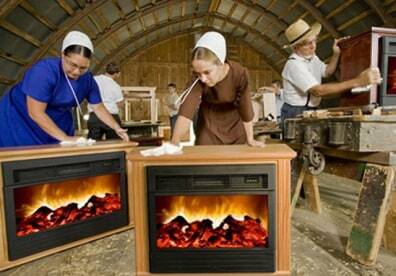 The Heat Surge Roll-n-Glow Fireplace mantles are made by Amish workers in Ohio. But the heaters are made in China.